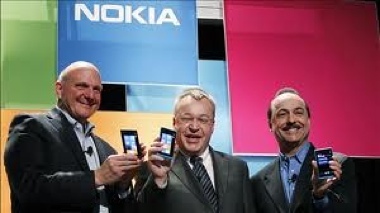 We won’t know for certain how many Lumia 900s Nokia and AT&T have sold, until the companies report second-quarter 2012 financial results this summer, or release official sales data. But it turns out that the recent Lumia 900 stock-outs AT&T has been experiencing are a pretty good indicator of how the device is faring at market. Looks like the software glitch that plagued early versions of the handset — and prompted Nokia to offer replacement devices to consumers affected by it — hasn’t had much of an effect on inventory. The company says that far more consumers have opted to patch their Lumias with the software Nokia has provided than have swapped them for new ones at a local AT&T store. In other words, if the cyan version of the Lumia 900 is out of stock at AT&T’s online store (as it currently is), it’s because it’s sold out for the time being, not because Nokia is scrambling to update and recertify returned handsets. That’s a good sign, indeed. And further evidence that sales are exceeding expectations, as Paul Roth, AT&T’s president of retail sales and service, recently claimed.